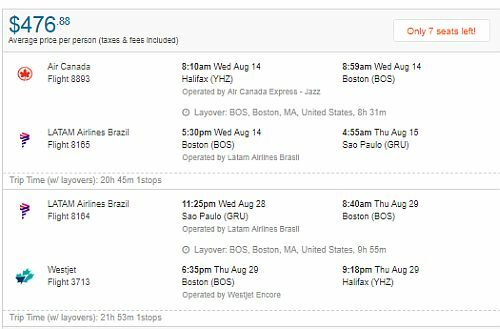 LATAM and Air Canada have dropped the price of their flights from Halifax to Sao Paulo, Brazil down to $462 CAD roundtrip including taxes. 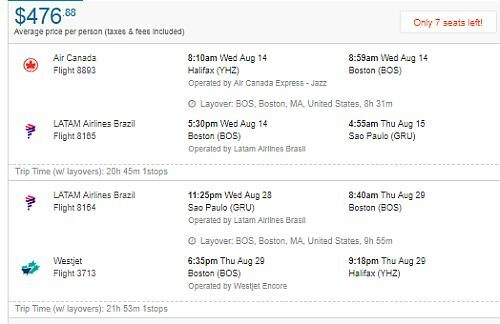 This is a new record for the cheapest roundtrip flights from Halifax to Brazil. The previous record of $557 CAD roundtrip was set in January of this year. The flights have 1 stop each way, in Boston. - Look for the dates that are $514 roundtrip. 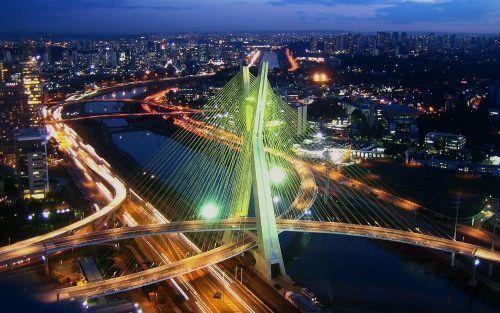 halifax, yhz, flight deals, delta, south america, sao paulo, gru and sao.